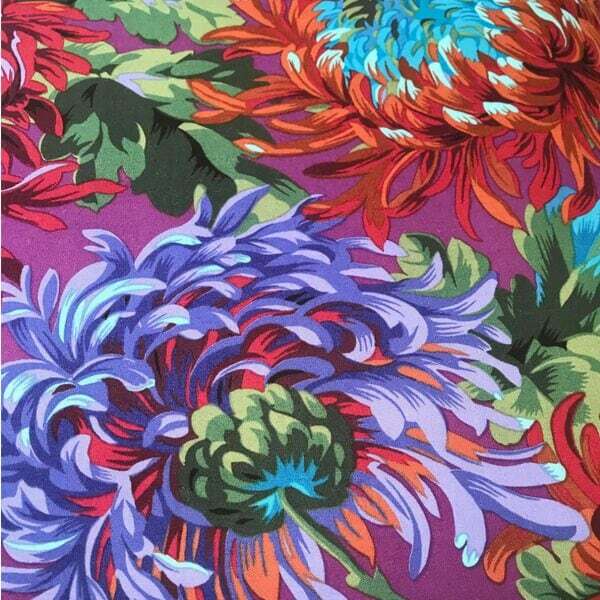 Fabulous turquoise and burgundy chrysanthemums on a purple background. 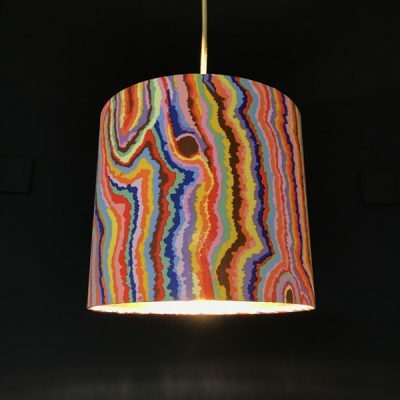 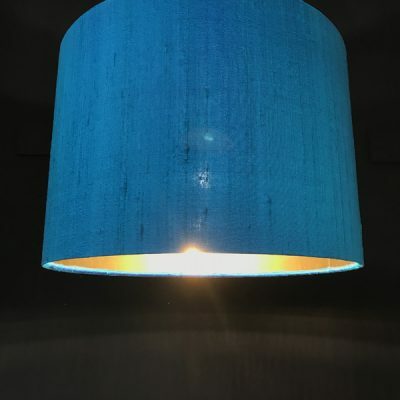 Handmade drum lampshade with mirrored copper lining. 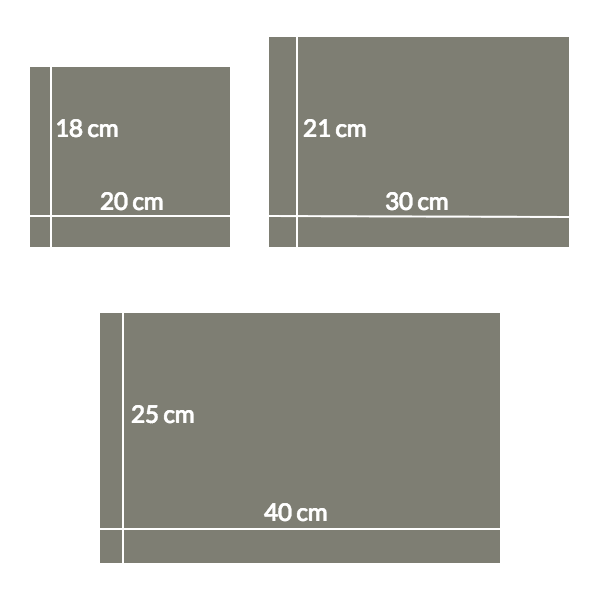 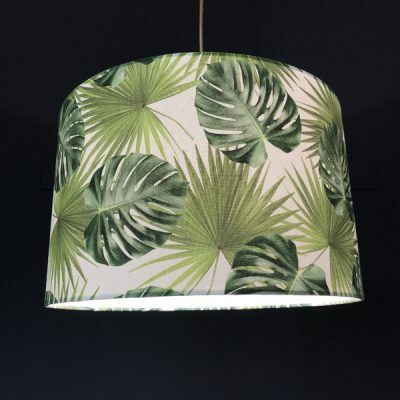 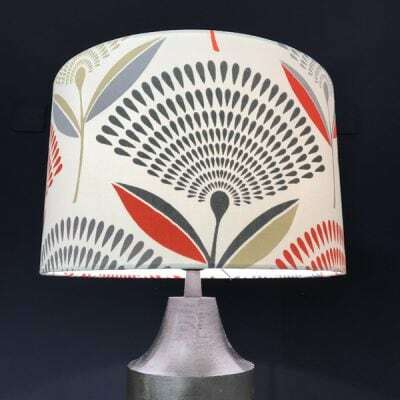 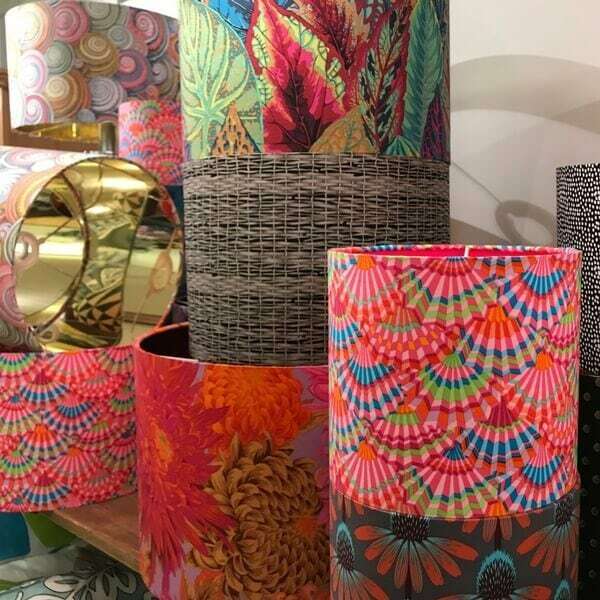 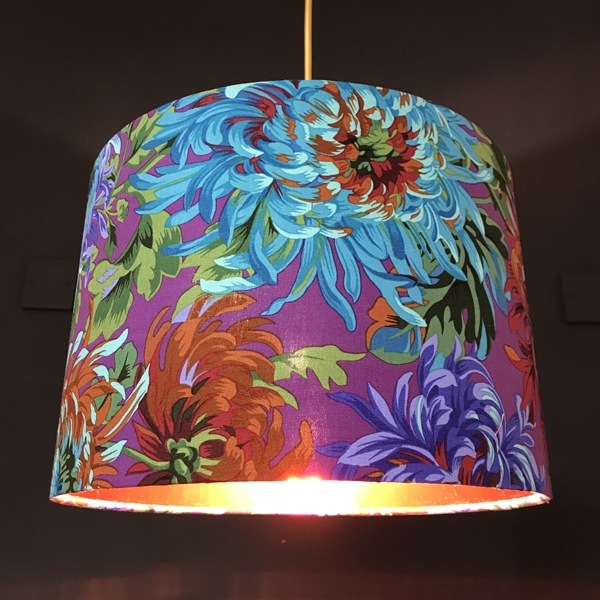 Available in 3 sizes and suitable for both lamps and ceiling lights.